There’s a growing need for child care providers in north-central Iowa as the massive Prestage Foods pork processing plant plans to open near Eagle Grove soon. 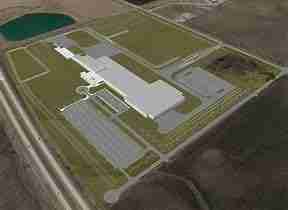 It’s estimated the plant will be employ nearly one-thousand workers. McKinley Bailey, executive director of Building Families in Clarion, says the shortage of quality child care providers could quickly reach the crisis stage. One area day care provider recently said they had a waiting list of 18 babies, all under a year old. Building Families is working to address the child care situation in the region by offering a series of training events for day care operators. The agency also works to help day care operators to provide learning opportunities so kids aren’t just watching T1V all day but learning and interacting with adults and other kids. Building Families also plans to offer grants for equipment and for improvements that could increase capacity. The Prestage plant is expected to begin limited production next month, with a ramp up to full production early next year.